Making healthy sandwiches allows you the opportunity to utilize your creative talents in the kitchen once again. Sandwiches can be created as an entire meal, providing all the nutrients necessary for your healthy living. To create a healthy powerhouse sandwich, use your imagination, by including herbs such as fresh basil leaves, cilantro or fresh parsley. Fresh watercress gives a sandwich a great nippy taste; in addition it gives an appealing look and has virtually no calories. Did you know that watercress is a good source of beta carotene, calcium, iron and potassium? Fresh chives, which contain sulphur oil (which may lower blood pressure if one consistently eats a large amount), fresh romaine lettuce, is low in calories and high in fiber. Try to choose the dark green leafy lettuce; spinach which is full of vitamin A and folate, and high in Vitamin C and potassium, is an excellent choice for sandwiches as it is also a vegetarian source of protein. When creating your sandwiches, try using sliced whole rings of green, red, or yellow peppers, as they are not only colourful, but an excellent low calorie source of Vitamin C.
Try using sandwich style sliced dill pickles (patted dry)or cucumbers sliced. Crisp fresh snow peas, are low in calories and high in Vitamins A and C. Snow peas, besides containing protein, help to create a nutritionally complete meal when combined with whole grain products. Sliced beef steak tomatoes make a great addition to any sandwich. Try using asparagus or green capers on top of your filler. We have only the a few “green” and some red vegetable and herb ideas to season your sandwiches. Fillings for healthy sandwiches are where we need to use care in calorie use. Always use a light Miracle Whip, light cream cheese or Dijon mustard. Light Miracle Whip and cream cheese taste just as good as the regular products and are one half or less than the calories and fat. Avocados, which incidentally, are fruits, are high in the “good” fats, meaning mono-saturated, but always remember they are high in calories and fats. These are only a few ideas, but, add the greens previously mentioned and you will have a deluxe healthy sandwich when a good protein is added to your greens. The last item I will write about is bread, one of the most important items. The healthy breads to look for are logically the ones that contain whole grains, oat, flax, spelt bread, rye bread. These breads contain the “good” carbohydrates that constitute a healthy food choice. White flour breads have no nutritional value for our bodies. Please try to introduce these good choice breads to your children at any early age, so they will become accustomed to eating healthy bread for healthy living. Creating healthy appealing powerhouse sandwiches is a learned craft; you will be using all the necessary nutrients of a healthy meal for healthy living. There are a multitude of other types of healthy sandwiches, party sandwiches, rolled sandwiches, pinwheel roll-up sandwiches and even wraps to enjoy creating for you and your family. You will be surprised at just how creativity bursts out in you when you start making these healthy recipes. These breads taste marvelous, but, it is sometimes a chore to talk children into them. Start children with a good 100% whole wheat bread that is fresh. I am certain that once you add the choice of good healthy items for the sandwich covered with the good bread, your child will love it. Later on, you can slowly introduce other varieties to him/her. Fortunately, we now have available to us bagels, crusties, and many breads with 100% whole wheat plus many other nutrients in the breads for healthy living. 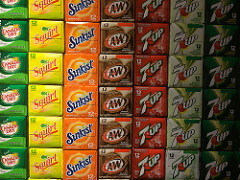 If you are making sandwiches with sauces, it is easy to eliminate butter or margarine. Replace it with mustard, low-calorie Mayonnaise, light cream cheese. It will eliminate 100 calories to your sandwich. We have given you a start on your creative power sandwich making. Use your imagination and run with it. Learn all about the healthy vegetables and how to use them for power sandwich making for healthy living. 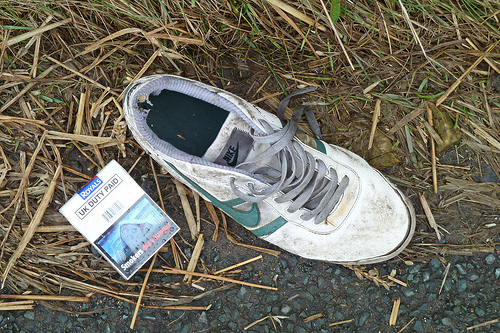 Abandoned trainer and discarded cigarette packet. The other trainer was down the road, disconsolate that its partner had left it for another.